It has a new name and it doesn’t look like this any more! We have been calling it “The Freight Shed” but with the changes made to promote the display of artifacts and allow for lectures and showings we are changing the name to “The Large Exhibition Hall”. 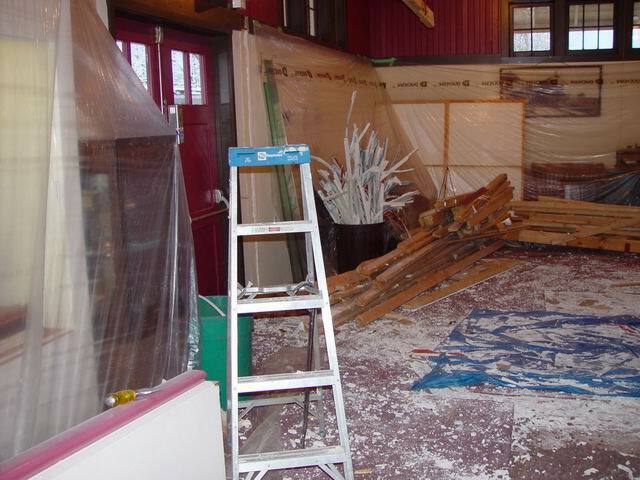 This picture was taken earlier in the year when renovations were under way. I have had a sneak peak or two and it looks wonderful with dark rich wood and honey light wood and new displays and cabinetry. The new setup will be more flexible and there will be more flexibility for creation of changing exhibits. The museum was good before but will be even better! Join us Fathers’ Day for the Grand Re-Opening of The Large Exhibition Hall on June 17th from 10am – 4pm.